Gilly Jackson on BBC Radio Cambridgeshire!! 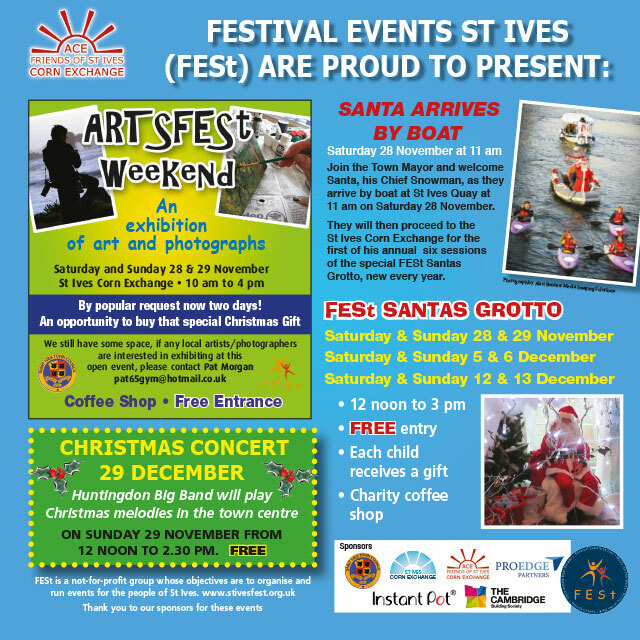 Hear Gilly Jackson give an interview with BBC Radio Cambridgeshire this Saturday 28th November 2015 at 7:50am to talk about the Snowman Festival this weekend in St Ives!! Don’t worry, if 7:50am is too early for you we are hoping BBC Radio Cambridgeshire will replay the interview later on in the day! It’s that time again, when the nights draw in and Snowmen have appeared all around our town. This year they are from books, poems and stories of all sorts and there is a snowman trail with a map and some clues for you to follow. You have until 16th December to hand in your Trail Map and stand the chance of winning a fabulous prize. At the beginning of November suddenly ‘Juliet’ Snowman appeared on the Bridge balcony, looking for her Romeo. She has been joined by many more of her friends, including Darth Vader Snowman, Captain Snowman, Vampire Snowman and ‘When I Am An Old Woman I Shall Wear Purple’ Snowman. 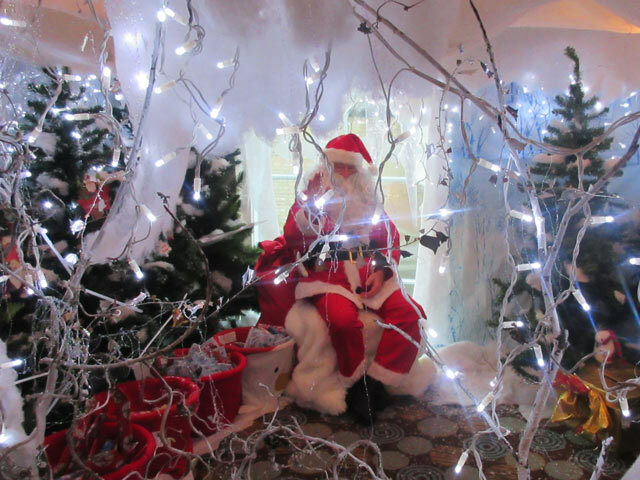 What you have to do – To join in this year’s snowman trail just pick up a map from either Shades of White, La Muse or Janet Church Interiors. Answer as many questions as you can and then return it to one of the 3 shops. One winner will be drawn from all completed entries to win a fabulous prize! 16.12.15 ​‘Best in Snow!’ judging and final date to hand in trail maps. 19.12.15 ​Winners of trail map and ‘Best in Snow!’ to be announced. 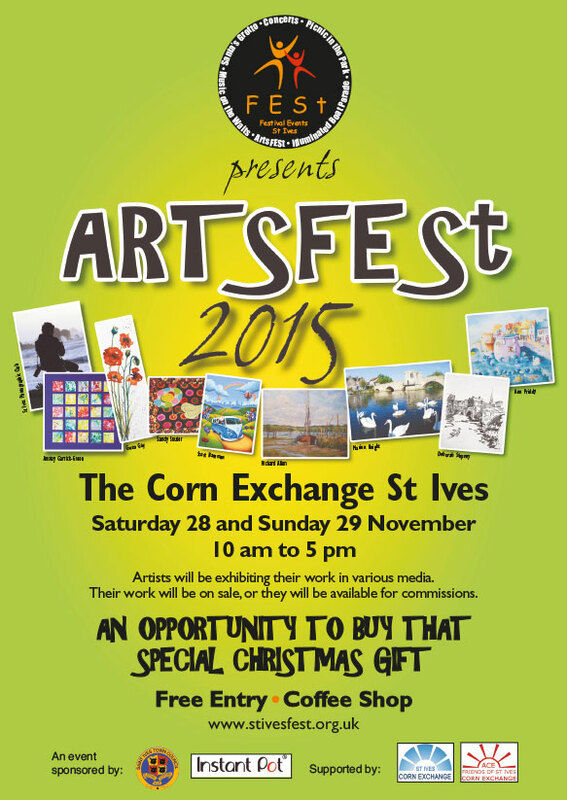 Back by popular demand by artists and public alike is this year’s art exhibition at the St Ives Corn Exchange. It will be held over the whole weekend of Saturday and Sunday 28/29th November 2015. Come along and enjoy a wide and diverse collection of amazing creativity and perhaps purchase that special, affordable and unique piece of artwork. This very popular annual event is moving and getting bigger. Previously this one day event was held at the end of August, but for 2015 it will be a two day event at the end of November. The venue is the St Ives Corn Exchange as usual. 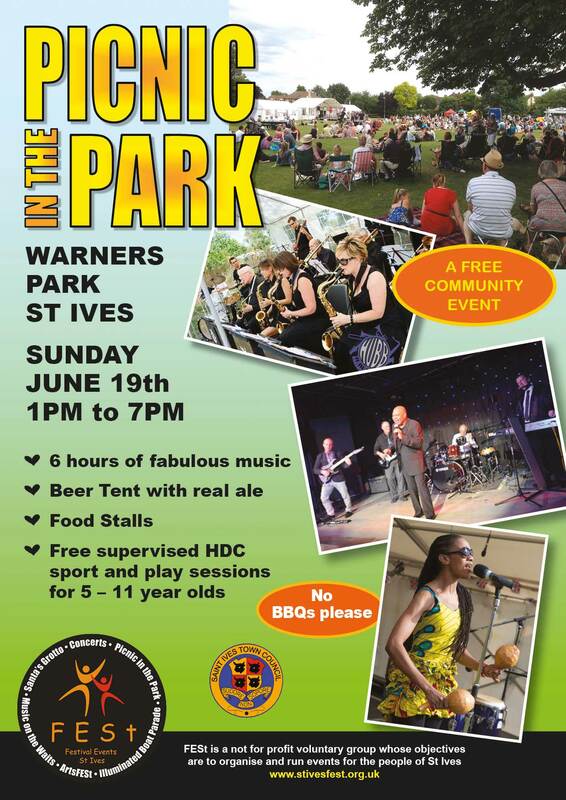 This event is sponsored by St Ives Town Council,and by local business Instant Pot, with support from ACE – Friends of St Ives Corn Exchange. will arrive by boat at The Quay and parade to the Corn Exchange. 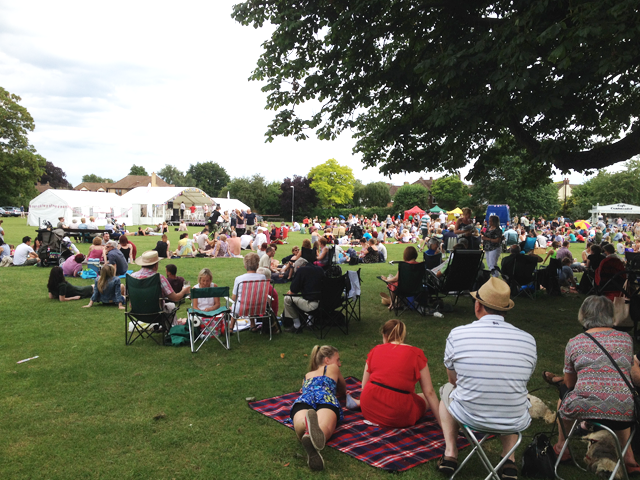 The 2014 event was hugely popular, so the event will be event bigger and better in 2016. 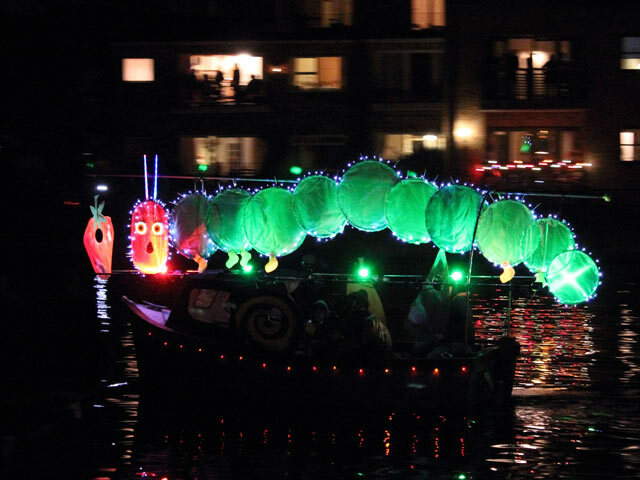 There will be entertainment in the town prior to the parade, which begins at dusk when the boats start from Nobles Field, sail past The Quay up to Jones Boatyard, and return. FESt could not hold this event without the support of members of GOBA (Great Ouse Boating Association). 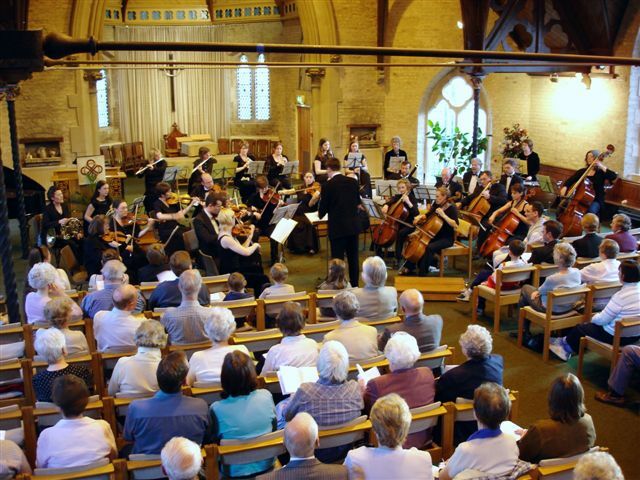 6 June 2015, 7.30 pm, St Ives Free Church.